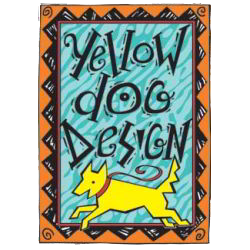 Focused on the customer’s experience, Paisley Paw stocks premium dog and cat items; toys, collars, leashes, pet bowls, pet beds, carriers, grooming items, food, treats, supplements and many other items. The store features a bakery with homemade dog treats. Our DIY dog wash provides a spa-like experience for your dog, with large tubs, shampoo and conditioners, warm towels, and dryers available. Groomer Becky Bursha offers grooming appointments on Wednesday, Thursday, and Friday for services including bathing, haircuts and deshedding. Appointments can be booked here. 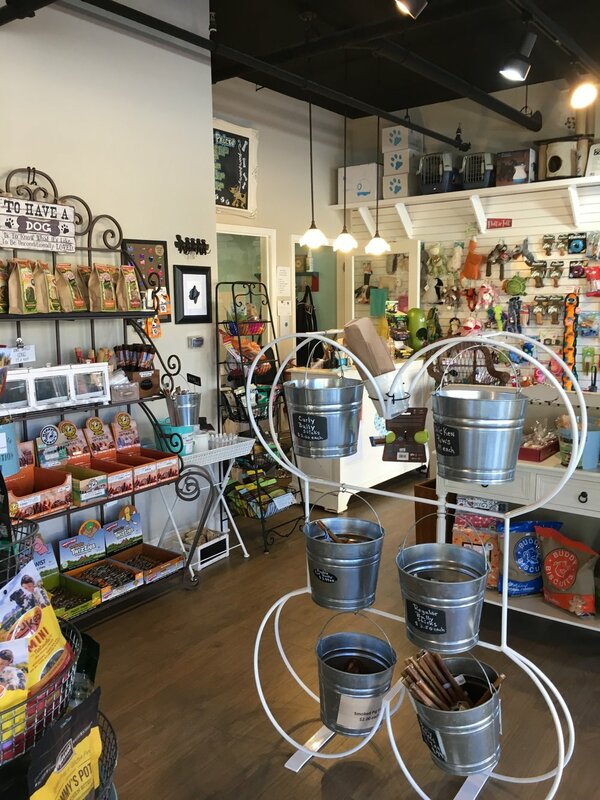 Paisley Paw is proud to be a local hub for the animal owner community in the Upstate, providing products and services necessary, and participating in fundraisers to support local animal organizations. We provide the highest quality products. Here are a few of the companies that we regularly stock. 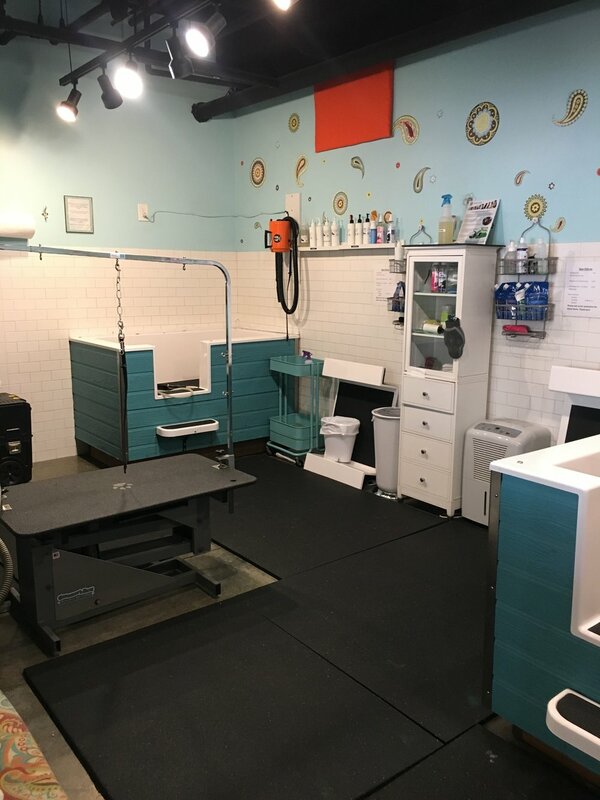 Paisley Paw’s do-it-yourself dog wash area features two large tubs with access for large, small, young and elderly dogs. Features include preset water temperature, a range of shampoos and conditioners to use, warm towels and hairdryers. This self-serve dog wash has everything you need to make your puppy clean and relaxed. We offer grooming services with Becky Bursha on Wednesdays, Thursdays and Fridays. Services include haircuts, washes, and deshedding. Use the button below to book an appointment. If you have questions, please call the store at 864.327.9323. Please provide proof of Rabies vaccination when dropping off your pet for the first grooming appointment (either tag or paperwork). Note: No-shows will be charged full amount. Please cancel or reschedule your appointment at least 1 hour prior to appointment time to avoid the charge. 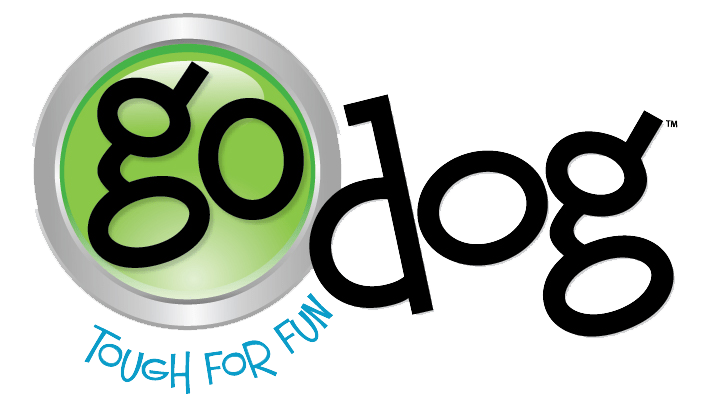 This service helps all double coated dogs regardless of coat length! (Examples: Labs, Corgis, Huskies, German Shepherds, Australian Shepherds, Golden Retrievers, Pomeranians) We use specialized tools, products, and techniques to remove dead, shedding hair without taking length off the dog’s coat. *SERVICE MUST BE PURCHASED IN ADDITION TO A BATH & SANITARY -OR- A FULL GROOM PACKAGE.